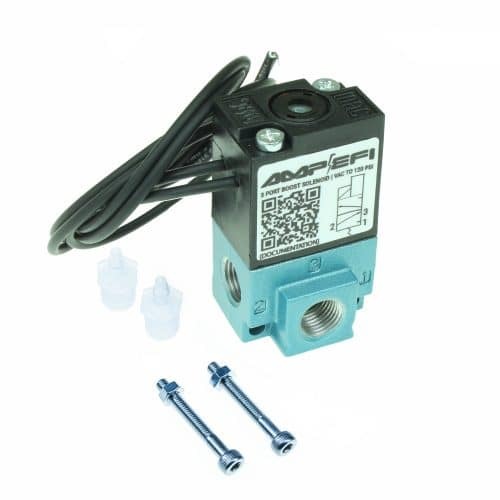 Have an application with a lot of small solenoids that need 12V power and rapid switching? Don’t want the expense of a bank of four separate solid state relays, each rated for five times the current each solenoid needs? This module lets you run up to four medium current 12 volt devices with high speed solid state switching. 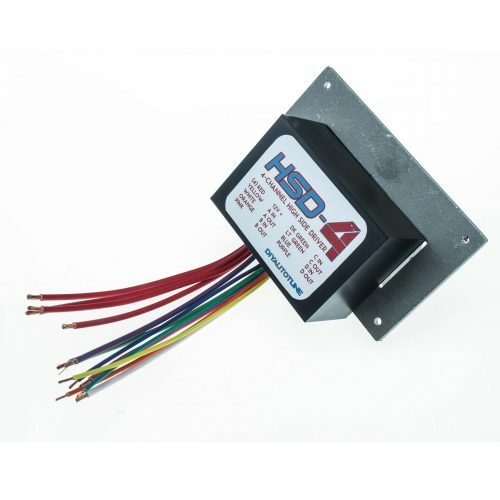 Most applications that require an HSD-4 have the solenoid ground connected to the solenoid body and a single wire supplying 12V to the solenoid. The HSD-4 high side driver is epoxy potted for maximum vibration and water resistance. Suitable for underhood applications. The HSD-4 high side driver is proudly manufactured in Suwanee, Georgia, USA. 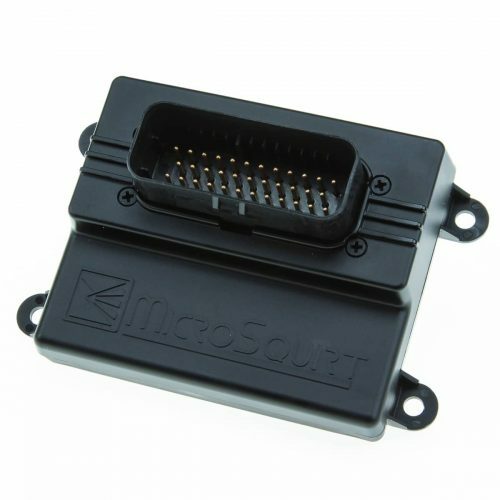 We have documentation for using the HSD-4 high side driver with MegaSquirt ECU and TCU products. 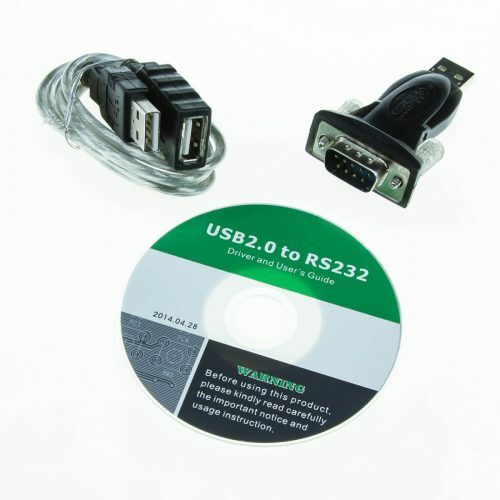 Is it possible to use the HSD-4 high side driver module with a brand [enter your brand here] ECU? Probably. Most ground switched outputs will activate the HSD-4. Can I use the HSD-4 high side driver with nitrous solenoids? Check the coil resistance before wiring this to a nitrous solenoid, as the HSD-4 will not supply more than 8 amps per channel. 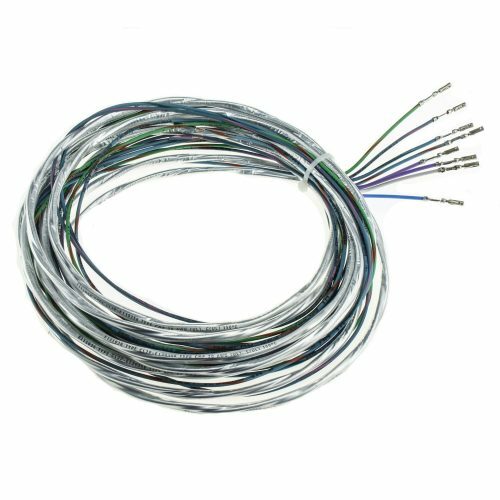 We do not recommend using the HSD-4 with a solenoid if the coil resistance is under 2 ohms. Can I trigger two or more outputs with a single input? 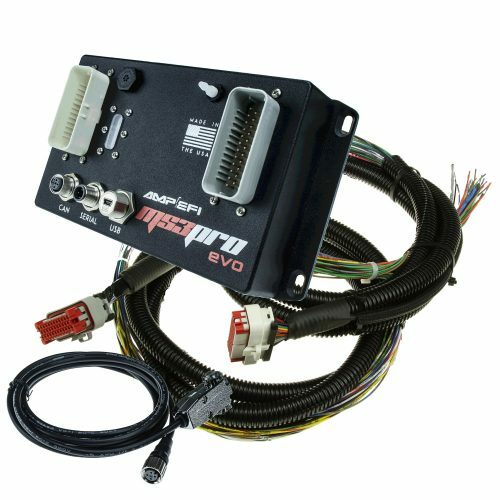 Yes, you can wire multiple input wires to a single ground triggered output on your ECU if you want the HSD-4 to activate several devices at once.